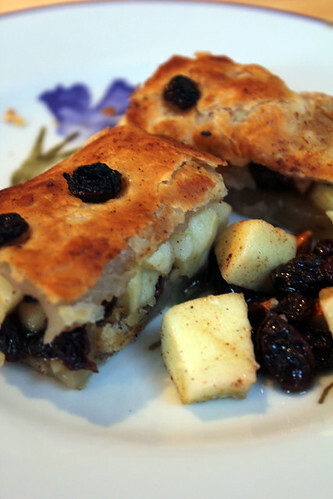 My first attempt at making an apple strudel. I have a cooking apple tree in my back garden, and although I love apple crumble I wanted to make something different with them. I had some ready-made puff pastry in the fridge and it seemed only right to give a go at making strudel. Most recipes use filo pastry, but this actually worked quite well, although I would like to give my next attempt a go with filo to see the difference.